Imagine a great national park in the heartland of America--the Driftless Rivers National Park. A northern region where massive continental glaciers a mile thick repeatedly loomed and stalked the area for more than a million years but could not touch it, encircling a refuge for flora and fauna of the Ice Age. It's a land of stunning beauty, rugged bluffs, a confluence of ancient rivers, filled with caves and archaeological treasures thousands of years old, the site of white man's first encounter with the mighty Mississippi, and a place of French fur trading barons, log-built military forts and battles with the native peoples. Great, beautiful and visionary as they are, most of our national parks lie far out west and every further away in Alaska. Consequently, they are functionally out of reach for a vast number of Americans who could greatly benefit from recurring trips to a national park. 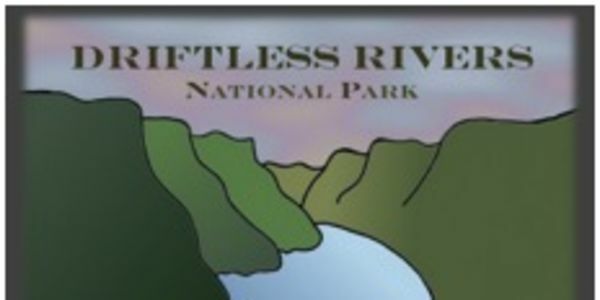 The Driftless Rivers National Park Foundation was formed to promote the creation a new and majestic park in the Upper Midwest. To make the dream become reality, the U.S. Congress must authorize the National Park Service to conduct a Special Resource Study to determine whether the Driftless Rivers region meets the criteria of national significance, suitability and feasibility. Please urge Congress to authorize the National Park Service to conduct a Special Resource Study as the first step toward creation of the Driftless Rivers National Park!